The Architectural Engineering Department organized a field trip to PUA Faculties Complex for the fourth year students on Saturday 23 March, 2019. 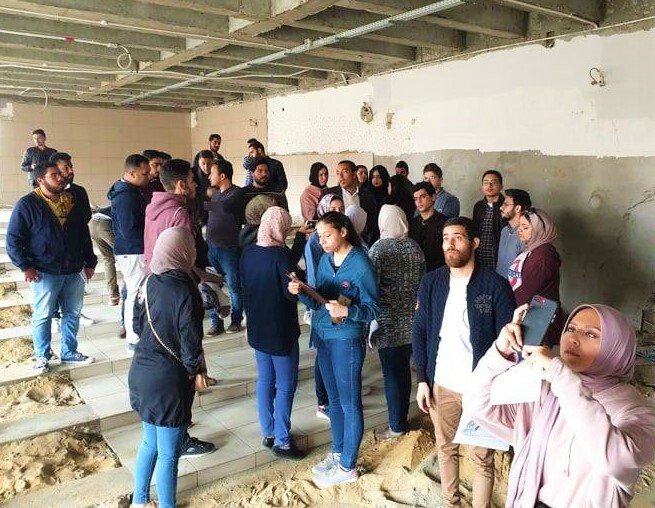 The aim of this trip was to introduce the students to the technical and mechanical works of this project and to link theories of the curriculum with applications. The students were received by Eng. Hassan El-Easry the supervisor of the building sanitary installations who gave a detailed explanation of the components of the project and how to implement and install the technical works in the site and the faculties complex. The students were also acquainted with the new techniques used sanitary installation works and the rainwater drainage in the complex. 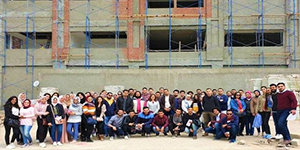 The students also learned about the distribution and installation of electrical works, air conditioning installation process and firefighting systems. 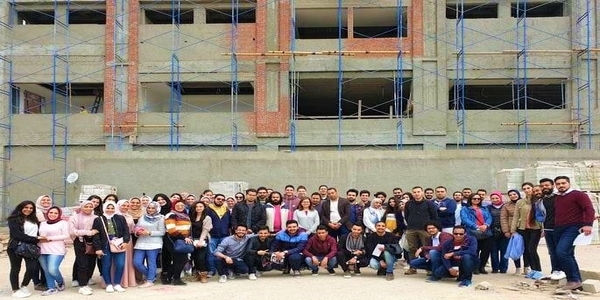 The coordination of this trip was made under the supervision of Dr. Reiham Nady, a lecturer at the Architectural Engineering Department and number of teaching assistants; Eng. Loura Nabil, Eng. Mohamed Shaban, Eng. Hagar Fiqi, Eng. Radwa El-Shobasy and Eng. Asmaa Ngah.